Stetson University is the longest-serving business school in the state of Florida, with more than a century of expertise in the field. Its educators are committed to bridging the gap between academia and practical application, providing first-in-class training for students that integrates classroom learning into real-life situations relevant to today's business environments. "I was drawn to Stetson because of their vision to take this program—and its students—to the next level," explained John Riggs, Executive Director of the Centurion Sales Excellence Program. "Stetson's program will be uniquely structured to bridge the gap between academia and practical application." The advent of the Centurion Program lets Stetson University take advantage of lecture capture technology and video management within a single, cost-effective solution. Matrox and Ensemble Video form the backbone of a pilot project—with sights on a complete deployment for the entire Stetson media ecosystem—comprising Matrox® Monarch™ LCS H.264 streaming and recording appliances and Ensemble Video's content management and distribution platform. "Ensemble Video and Matrox share a belief that video technologies should be simple, powerful, and affordable," said Scott Nadzan, VP of marketing and sales, Ensemble Video. "Integrating Ensemble Video with the Matrox Monarch LCS delivers an innovative lecture capture and video management solution ideally suited for educational institutions. We are pleased to be part of this ambitious pilot program as we collectively push the boundaries of lecture capture solutions." Each lab is equipped with a Monarch LCS encoder, connected via the network to the robust Ensemble Video platform, which centralizes commands over the Monarch LCS appliances, the Wowza Streaming Engine™ media server software, and the university's designated lecture management system (LMS), Blackboard®. Professors and students access the Blackboard interface to schedule times to use the lab equipment; behind the scenes, Ensemble Video sends the schedule command to the individual Monarch LCS appliances, automatically starting and stopping encoding events at the slated times. 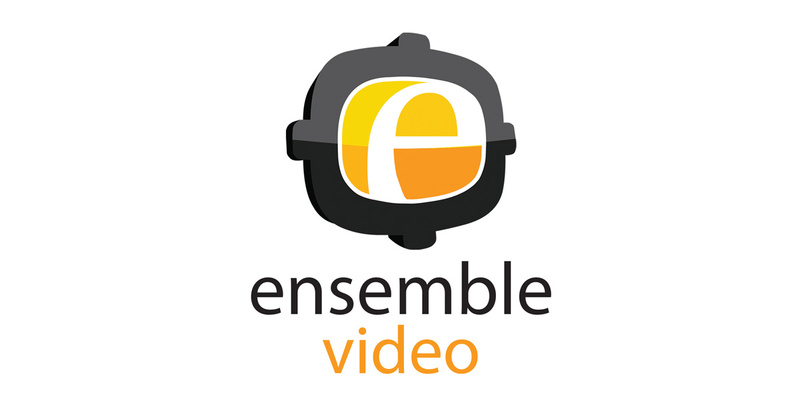 Ensemble Video's platform streamlines management of videos, providing supplemental tools to augment the video recordings. The platform includes an automatic captions feature, which overlays captions on the Monarch LCS encodings; a unique "search inside" feature lets students search captions for key words and jump directly to points of interest within their videos. Videos can be annotated with comments and notes—applied directly through the Ensemble platform—helping students track feedback from peers and professors. With H.264 compatibility and the Wowza Streaming Engine, students can use any device, PC, or tablet to access their video content on demand. "Few skills are more important than that of being an effective and persuasive communicator, and that is the key to the success of our students," said Neal Mero, Ph.D., dean and professor of management, School of Business Administration, Stetson University. With state-of-the-art technology at their command, Stetson University eagerly looks ahead to rolling out their pilot initiative into full-scale deployment throughout their three campuses. "Video encoding technology has been shown to be an integral part of effective experiential learning, especially in sales training," noted Francesco Scartozzi, director of sales (Americas), Matrox. 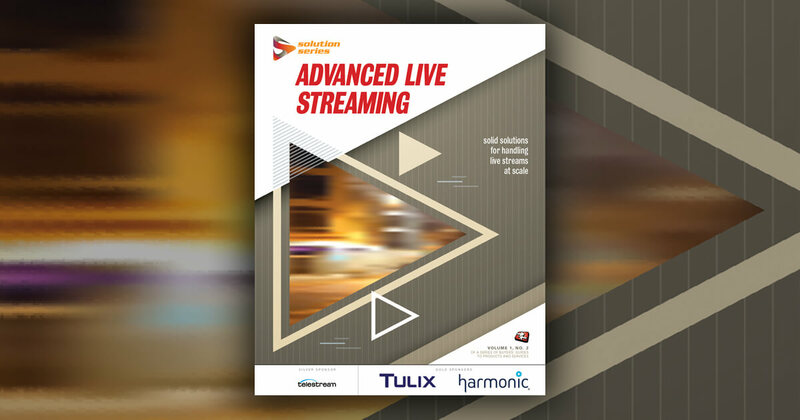 "Matrox Monarch LCS with the Ensemble Video platform offers a powerful and flexible, yet cost-effective solution for both ad-hoc and scheduled sales pitch capture. This pilot project with Stetson really showcases the potential of lecture capture appliances to be used in both traditional and unique deployments to suit any installation need." Founded in 1976, Matrox has over 40 years of experience designing software and hardware solutions for graphics, video, and imaging/machine vision applications. Matrox's three divisions - Matrox Graphics, Matrox Imaging and Matrox Video - provide an extensive array of real-world relevant OEM and end-user solutions to businesses and individuals across a diverse range of professional markets, including media and entertainment, finance, digital signage, medical imaging, manufacturing, factory automation, security, government, and enterprise computing. Learn about our cost-effective, flexible, and powerful lecture capture solution for campuses of any size. Ensemble Studio's lecture capture recording and scheduling system seamlessly integrates room-based video capture hardware, media servers, and video content management systems for a comprehensive lecture capture solution. Our platform is constantly chosen over the market leaders because Ensemble Video supports an open media ecosystem in several deployment options, allowing you to use integrated tools like Matrox Monarch LCSs and Wowza Streaming Engine.